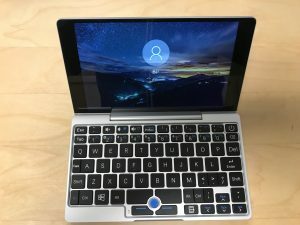 As I said before in my GPD Pocket review, I don’t usually do reviews, but I need a posting for September. So, here is my Chuwi Surbook review. 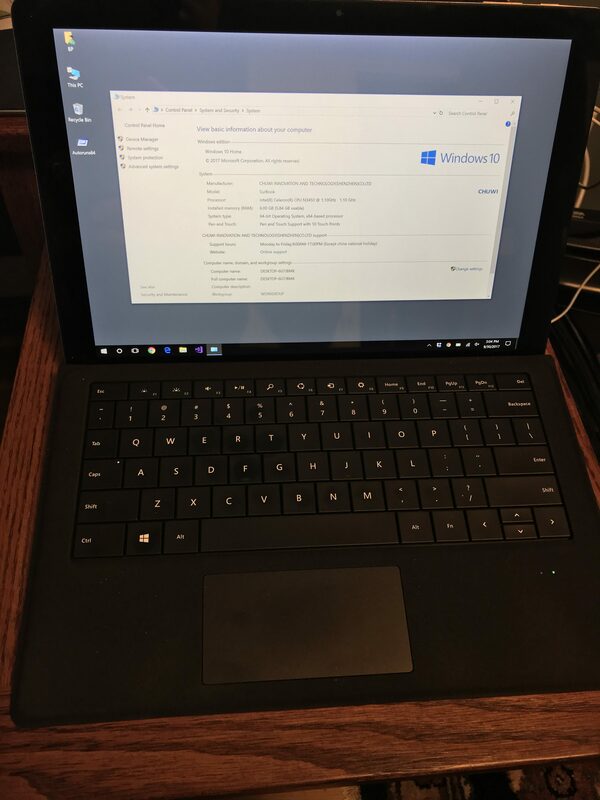 The durability and build quality of this device seem good, as it has withstood lugging back and forth to work for a month or so now without incident. The screen is 12 inches in diagonal, and the resolution is very good, on par with the retina MacBook Pro computers. 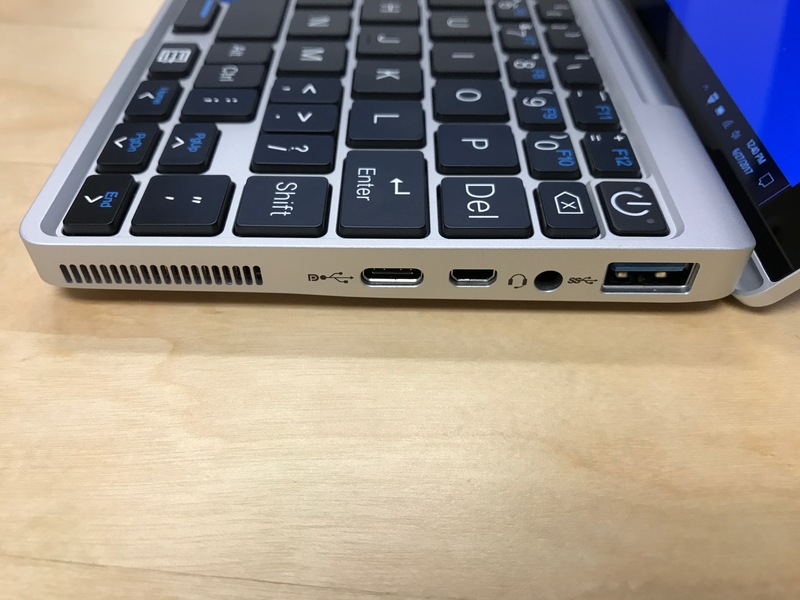 This device does have a 1.1 GHz processor, so in terms of computing power, it is not the speediest, especially since it only has 6 GB of RAM. However, so far it has performed well for me on my light and medium duty tasks. I even installed Visual Studio 2017 Community on it, and I am able to do development work on a .NET MVC site that I have been futzing around with. There is a little delay when trying to run the application, but overall not bad. 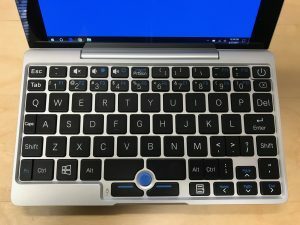 The one big beef I have with this device is that the trackpad on the keyboard cover is very finicky, which led me to disable that mouse in the Device Manager, and then I use either a Bluetooth mouse or the included pen. 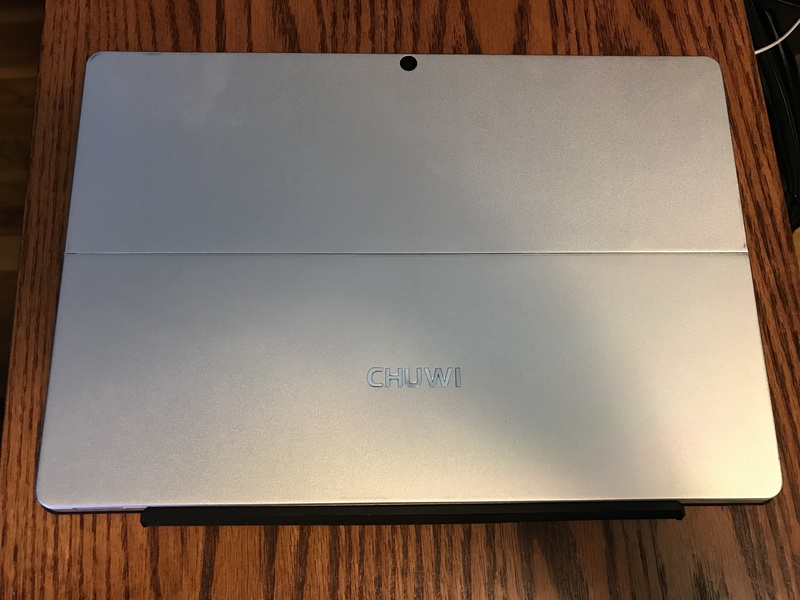 Kudos to Chuwi for adding a Micro SD card slot on this device. BTW, I know I missed the actual date by a couple of days, but Happy 30th Birthday to Star Trek: The Next Generation. I don’t usually do reviews, but with certain products that I think are particularly interesting or innovative, I will make an exception. 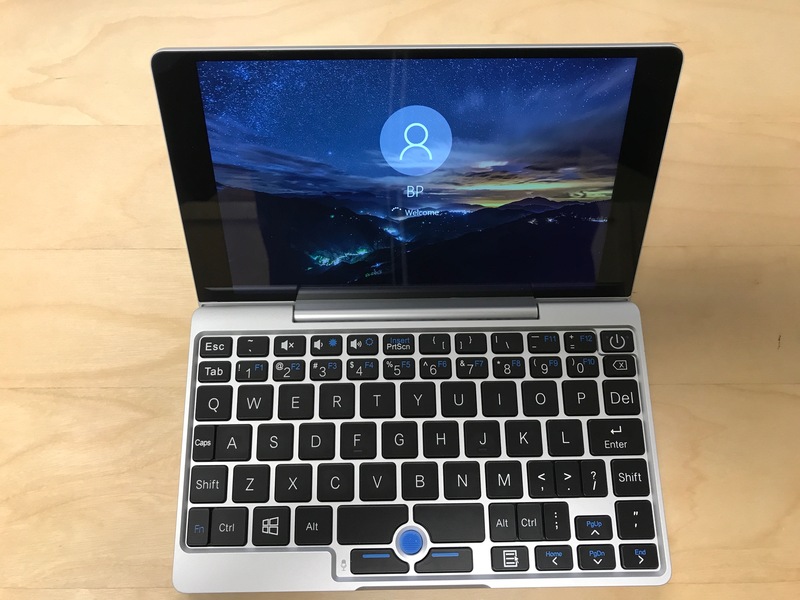 As a result, here is my GPD Pocket review. For an inexpensive device, I do like the build quality. The case is an alloy case that feels very solid and light, which hopefully translates to durability in the long run. The screen is a 7 inch screen at a resolution of 1920×1200, and from what I have seen so far, is very good for most traditional uses. This device is not advertised as a gaming machine, so I have not tried to do anything crazy complicated with it yet. 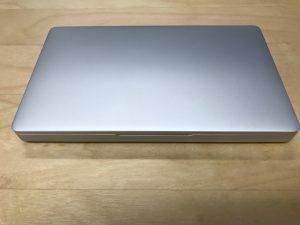 Atom processors are notoriously sluggish, but the one in this device seems snappy enough, although the caveat again here is that I have not tried running anything challenging. I suspect that the 8 gigabytes of RAM configuration that I opted for is helping out on this front quite a bit. 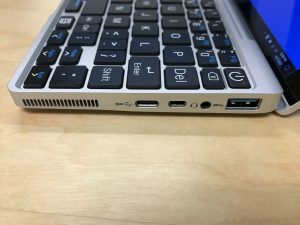 On such a small device, the keyboard is always going to be a problem, and the GPD Pocket is no exception here. 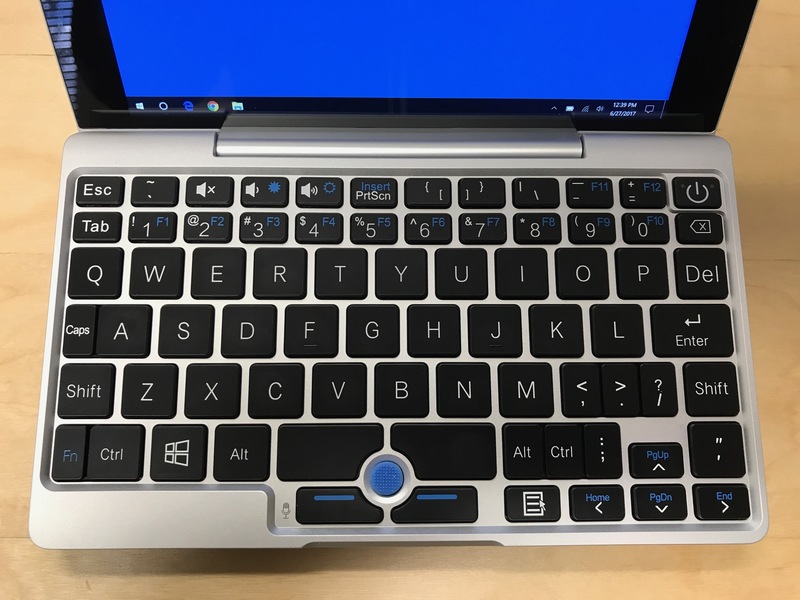 The biggest problem I have been having so far is that the number keys are off to the right by about one key, or in other words, on a normal keyboard, I go for the 3 key with my E finger, but on GPD Pocket, the 2 is right above E. As a result, I have to stop myself when going to the numbers row. The one thing that I wish this device had was a MicroSD card slot to expand the device beyond the 128 gigabytes of storage that it comes with on the internal drive. For the price that I paid (about $400 as an early adopter), I think it is a great device that I will make a lot of use of. That said, if the retail price goes up significantly from there, I am not sure if it has the same appeal. BTW, a posthumous Happy Birthday to Bob Keeshan.